Snacking can so easily make or break a new diet regime. You start a new diet, you had a great breakfast and a super healthy salad with chicken at lunch but it’s now 4pm and you are so desperate for something sweet to eat. If you could just wait a little longer until dinner and then get to bed quickly before any cravings kick in. But you are tired and so hungry that you grab something naughty before dinner, oops. Sound familiar? Well if you start to include some snacks between meals this hunger should disappear immediately. Snacking done correctly can help you lose weight and keep hunger at bay. There are a lot of confusing and misleading ideas for healthy snacks. I have clients that tell me they had a packet of low calorie potato chips for a snack, when I ask why they say, well because it says its only got 99 calories in. I just wish I could be there with them throughout their day to make better snack choices. A quick search for healthy snacks online and you often find that most snack ideas, recipes or items to buy will have carbohydrates as a base with very little protein, where protein should really be the dominant nutrient. So you see it’s so hard to know what really is the best snack to have. 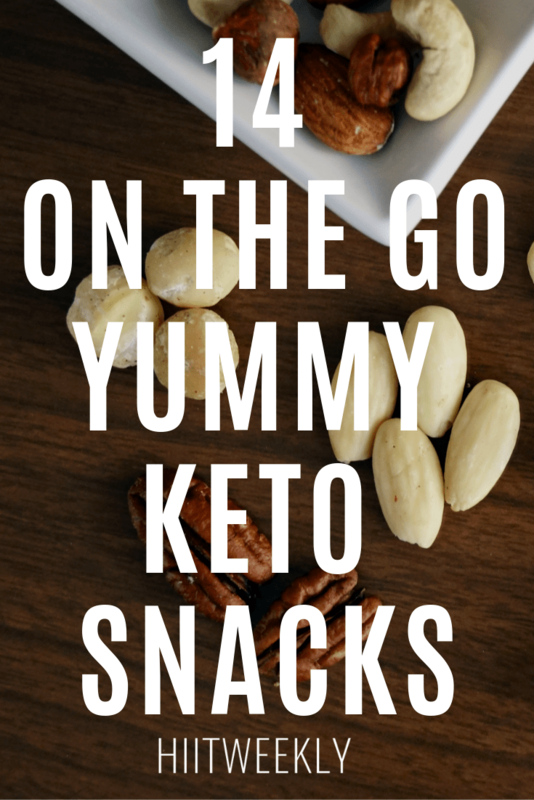 The best snack on any weight loss diet, especially if you are on a keto diet is a snack that is dominated by protein with a little bit of fruit or veg for added flavor and nutrients. Firstly, whether you are on a keto diet or not your main goal is to burn fat for energy and not carbohydrates, therefore make sure your snakes are carbohydrate free or at a minimal level. Secondly, protein is also a great macronutrient that makes you feel fuller for longer making it a great snack choice. Thirdly, if you are training, i.e. following our HIIT workouts you will want a steady intake of protein throughout the day to help with muscle repair and growth. 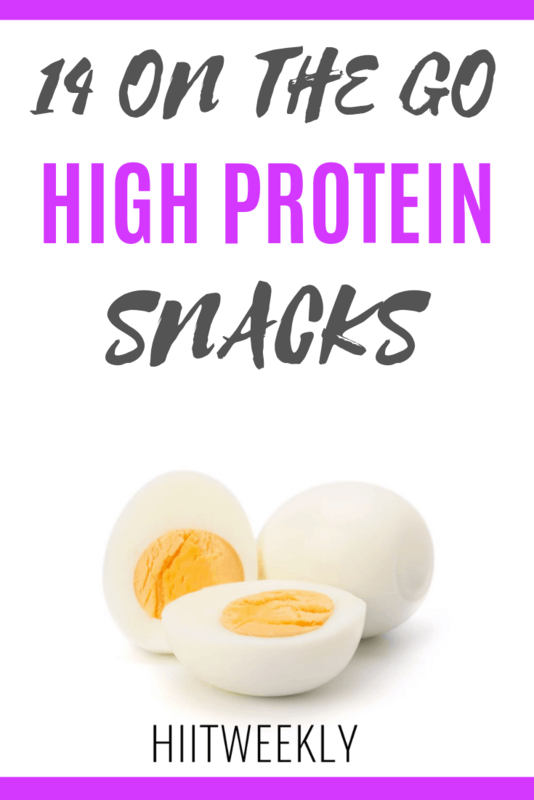 Today we will share with you some of the best sources of protein for you snack options, all of which would be great accompanied with some fruit or veg, we will give some examples as we go. The following snacks are all keto and clean eating friendly. Eggs are one of the best sources of protein, a medium egg packs in around 7g of protein, having one or two will provide enough to support your muscle growth and repair as well as making you feel full between meals. For the best on the go option you can simply hard boil them and enjoy then cold with some spinach or tomatoes or you could go one step further and make yourself some cute egg muffins like these here that can be eaten cold or reheated at work. Simplicity is best when it comes to staying on track with your diet. Cold cooked meat and deli meat is a good way to get high quality protein into your diet. It’s best to opt for the lower saturated fat meats while sticking to cuts that are as close to 100% cooked meat as opposed to formed meats. Again you could keep it nice and simple and roll up some sliced peppers, cucumber or carrots with your deli meat to snack on. Nuts are one of the best on the go snacks as they come pre-packed and can be stored in your bag for months. Although nuts are packed with protein, they are also high in fat and do contain carbohydrates. Therefore it’s a wise choice to limit your intake whilst trying to lose weight. As a general rule try to only have one serving of nuts a day. Nuts go well with apple or carrot sticks for a well rounded high protein snack. Similar to nuts, seeds offer an easy on the go solution to your need for a protein snack! When choosing seeds, pumpkin seeds are great as they contain high amounts of zinc. A one ounce serving has about 25% of your daily required intake of zinc which is great for your immune system. Seeds contain many different health benefits which you can check out here, therefore it’s always a bonus if you can buy pre mixed seeds in little snack sized pots. We love to sprinkle our seeds over some Greek yoghurt to give it a protein boost. Yoghurts especially Greek style strained yoghurts, you know the thick ones, are extremely high in protein whilst being low in fats and sugars as long as you buy the low fat ones. A cup of Fage Total has a huge 23g of protein and only 130 calories making it an ideal high protein snack that can be had on the go, at work or school. We have half a cup with a few raspberries and seeds. Of all the cheese cottage cheese is possibly the best sources of protein from a low fat standpoint. 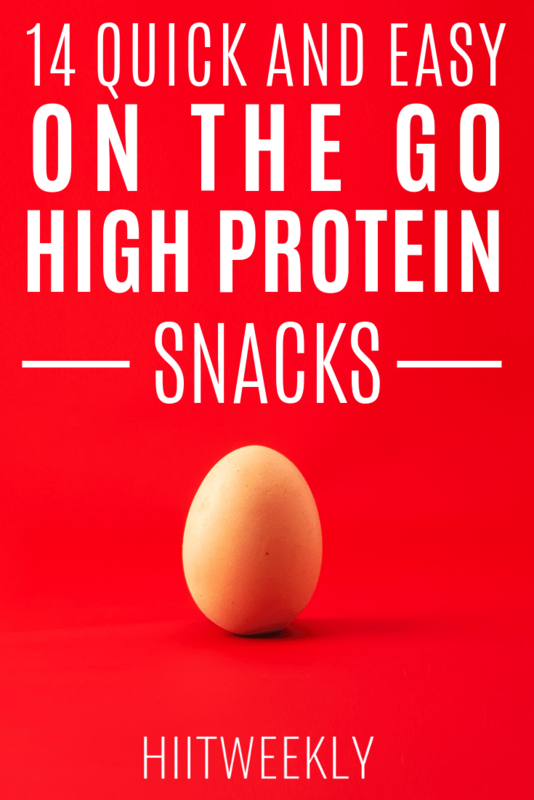 A 150g serving has around 13-15g of protein making it an ideal high protein snack. Look for low fat options unless you are on keto. Similar to Greek yoghurt and cottage cheese is a high protein dairy product that can be eaten as a desert or used as a spread on bread. It’s slowly gaining in popularity and will soon become the next big protein snack in supermarkets. It is also called dry curd cheese. We love a bit of hummus and Crudités, the posh word for raw vegetables eaten with a dip. What’s awesome about hummus is that it comes in so many flavors to enjoy. If you like a kick go for a hot chilli one for a little extra metabolism boost. Pack these for your next afternoon snack for a tasty snack you will enjoy. Me and Demi love our smoothies and when we want to up the protein content we just add a scoop of whey protein powder. It’s an instant 15-20 of protein depending on how much we add in to make this a filling afternoon or morning snack to tide us through to our next meal. You can experiment with flavors and tastes. Demi’s protein smoothie of the moment is this blueberry oat one. It’s soooo gooooood. If you are feeling really lazy or need some backup protein snacks that you can just reach for when you get hungry then you can’t go wrong with a protein bar. When choosing a protein bar look for ones that have minimal amounts of carbohydrates and sugars! When we talk about protein bars we mean those made by companies that specialise in protein products and sports nutrition and NOT cereal brands or chocolate makers that added a bit of protein in to their products to make them sound more appealing. For those days when you are in a rush and you need something that you can grab on the go jerky is an ideal solution for your morning or afternoon snack. Naturally high in protein, a portion of jerky will give you the nutrients you need. If you don’t mind eating your fish out of a can tinned fish can be a great option for an on the go snack that is very high in protein. Just remember to take a mint afterwards. Like nuts and seeds Edamame beans offer you a plant based protein snack. A 5 oz serving has 10g of protein. You can also enjoy these as toasted soybeans with a nice crunch. Did you know nut butter is also high in protein? Yep, you can enjoy a serving of nut butter as a snack between meals. We love to dip sliced apple in ours. Just be careful about how much you eat as it’s also very high in fat and calories. When trying to work out how much of protein you need when it’s snack time we usually work by two rules. Make sure the total number of calories for that snack is under or around 150 calories and aim for between 8-15g of protein for women and 15-20 for men. From these 2 rules you can normally workout how much to have. Some foods will be close such as peanut butter where 2 tbsp is 188 calories and 8g of protein. Try our 7 day challenge for free where you get a 7 day clean eating plan and 7 days of HIIT. It’s a simple and effective plan to help you lose as much weight as you can in 7 short days.